"Dr. Iron at UVA saved my life last week! He and Dr. John Dent are the A team at UVA! Thank you for this successful redo of my aortic valve." "Drs. Kron and Dent are a great team that saved my life! I highly recommend both of them. They work out of University of Virginia in Charlottesville." "Dr. Kron repaired my mitral valve during a 2 hour surgery. When I was checked a couple of months later for leakage by my cardiologist, they said it was one of the best repairs they had seen. Asked who performed my surgery, I said Dr. Irving Kron. My cardiologist said he returns the best results." 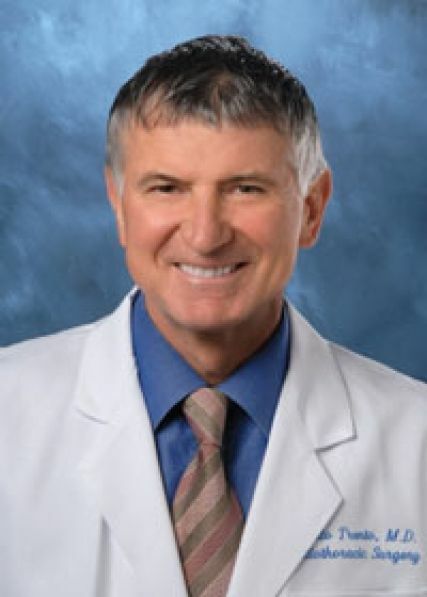 "Dr. Trento had great bedside manner and did outstanding work reconstructing my aorta while sparing my valve. Cedars Sinai in Los Angeles is a top notch hospital."